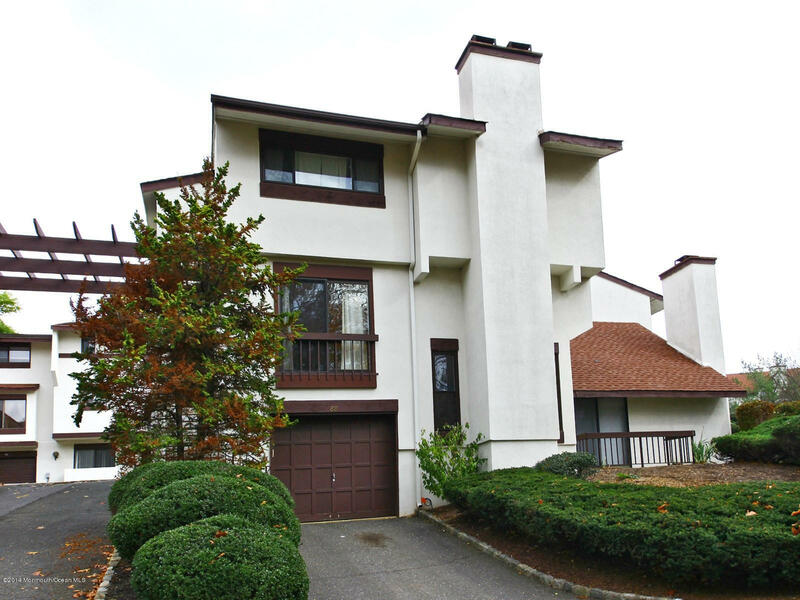 New Price Reduction makes this end unit townhome very affordable. It offers 3 bedrooms, 2.5 baths with private driveway & direct garage access. FOUR levels of comfortable living featuring hardwood floors throughout living/dining room. Family room with wood burning fireplace. Three large bedrooms including master bedroom suite with private bath & walk-in closet AND a 3rd Bedroom/Den with fireplace too! Freshly painted. New carpeting on staircase. Conveniently located to train, parkway, beach & downtown Red Bank!